Mueller's team of 40 FBI agents, and 19 lawyers, which included former attorneys for the Clinton Foundation, issued 2,800 subpoenas, executed 500 search warrants, submitted 230 orders for communication records, and interviewed 500 witnesses, costing taxpayers at least $25 million. In the end, they found no incriminating evidence against the president. 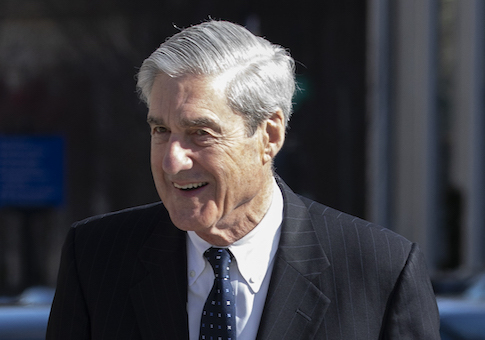 Mueller did not draw a conclusion on obstruction of justice, stating, "while this report does not conclude that the President committed a crime, it also does not exonerate him." However, Attorney General Barr and Deputy Attorney General Rod Rosenstein concluded there was "not sufficient evidence to establish the President committed an obstruction-of-justice offense." President Trump often complained about the investigation as a "witch hunt" and a "hoax," while the investigation persisted for two years. Trump said Sunday he was vindicated by the special counsel. "After a long look, after a long investigation, after so many people have been so badly hurt, after not looking at the other side where a lot of bad things happened, it was just announced there was no collusion with Russia," Trump said. "It's a shame that our country had to go through this," the president continued. "This was an illegal takedown that failed and hopefully somebody is going to be looking at their other side." This entry was posted in Issues and tagged Donald Trump, Robert Mueller, Russia. Bookmark the permalink.